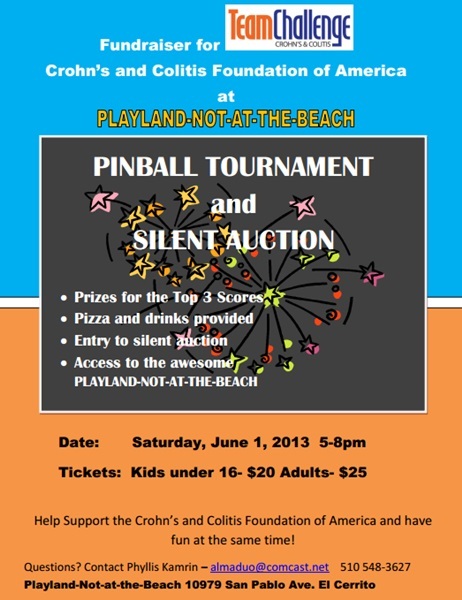 Hey folks, I’m helping run a fun tournament to benefit the Crohn’s and Colitis Foundation next Saturday. It will be a “Player’s Choice” style event. You pick your favorite game to play but you get last choice of player order for that game. 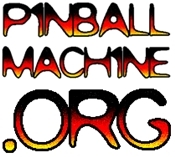 This is a casual event so if you have a WPPR rank of 500 or better, just come to hang out and play pinball. We’ll do afters at Legionnaire and get some tommy dollars games going on Metallica. Prizes provided by Playland not at the Beach. ← Pacific Pinball Museum takes on City Hall!